Jari began her love affair with beads as a college student in Lima, Peru in 1983. Immersing herself in all aspects of Peruvian culture, she became most intrigued by the street artisans selling jewelry on the sidewalks outside the University. After buying a set of pliers, wire, and beads from the local handicraft market, Jari began her life-changing journey by becoming a street artisan and surviving from the meager profits each day. This sparked her passion for jewelry and led her on the life-changing path of becoming an artist. The next creative stage of Jari's life began in 1999 when she took her first lampworking class. She was immediately hooked and quickly built a lampworking studio Since that time, her main focus has been working with glass. Jari has introduced this amazing art form to more than 800 students in the United States, Europe, Asia, and South America. 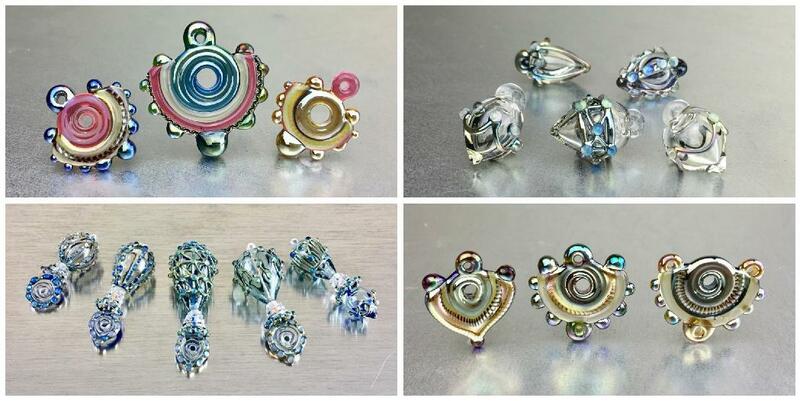 Jari currently lives in the Pacific Northwest and spends her days creating wearable glass art. Jari’s class delves into the building blocks of glass jewellery architecture. Learn a variety of techniques in this project class, imagining new ways to make connections. The one day course will explore mini hollows, twice pulled twisties, how to create small loops, tiny blown pods, murrine droplets, all in silver glass.